Industrious, the largest premium coworking and flexible workspace provider in the U.S., will officially open its Ballston location on January 7, growing its presence in the D.C. Metro area. Industrious is known for its beautiful and professional workspaces which are customized for entrepreneurs and mature startups through Fortune 500 companies. Its flexible workspaces are designed for optimal productivity and happiness — with everything from natural light and greenery to a mix of spaces that cater to all types of work and personalities. The new office will be located in the heart of Ballston — on the third floor of 4201 Wilson Boulevard, Ballston Exchange’s 4201 tower. Within the space, members will find single desks, large conference rooms, luxurious common areas meant for building a strong community, a private nursing room and a kitchen filled with locally sourced coffee and snacks. 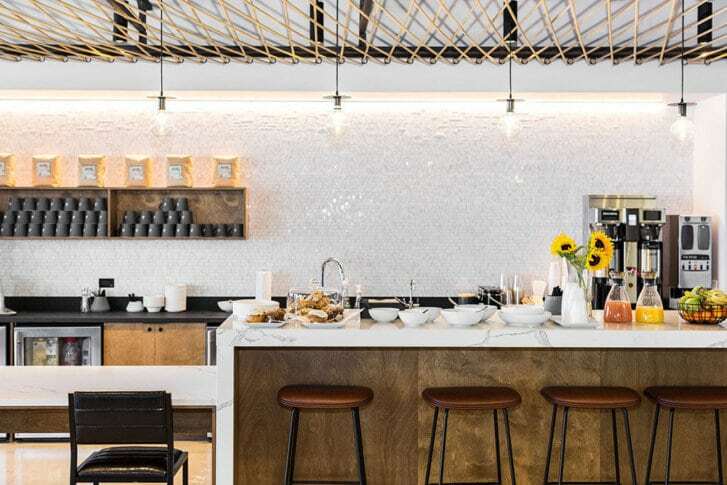 The property also offers a direct connection to the Ballston Metro Station for seamless commutes and is located right across from Ballston Quarter, a new place for folks to gather, dine and shop. Industrious offers workspace consultations and virtual tours for those interested in learning more about the different workspace solutions Industrious offers. Industrious will also host a Select Preview week from January 7-11, where members of the community can test out the space and join us for a week of networking, office tours and events to introduce and celebrate the new space. And if you refer a friend, Industrious will say thanks with up to $2,000 and also give new members a discount credit of equal value. Check out the Industrious website for more information on the company that brings you a great day at work, everyday.